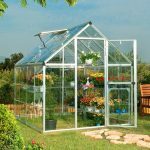 The traditional use for greenhouses is, of course, propagating and growing flowers and vegetables. 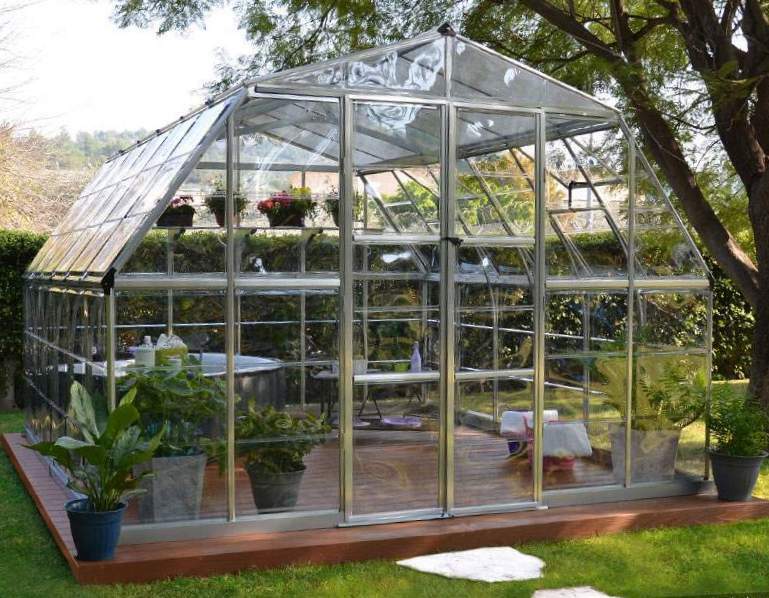 Today, there is an increasing interest in using greenhouses, particularly the larger sizes. 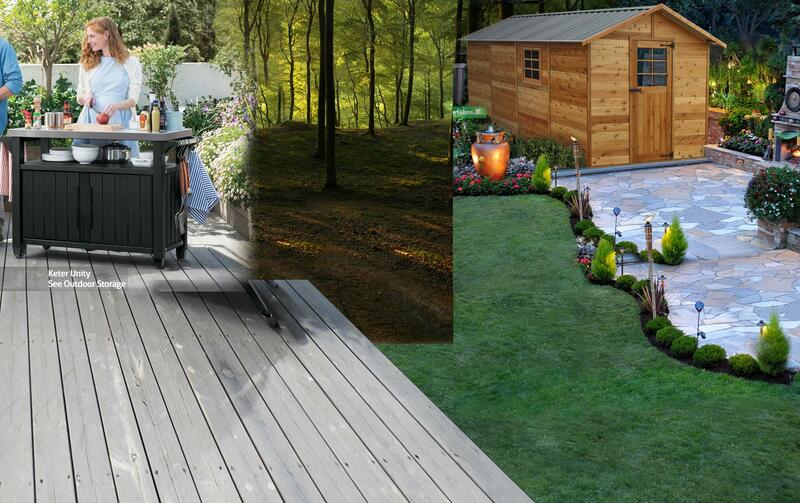 They are used as covered outdoor areas for relaxation – for hot tubs, cafe table sets and other activities. 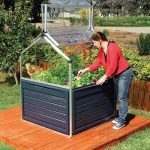 The AMERICANA 12 x 12 greenhouse from PALRAM is an ideal unit for this purpose. 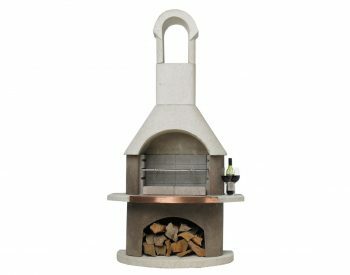 Large enough to allow room for a well set up outdoor area, it also provides shelter from wind and rain, allowing you to spend more time enjoying the garden and relaxing. 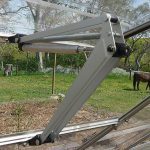 The clear polycarbonate glazing is virtually unbreakable and is an essential element in the success of the AMERICANA as an economical conservatory. 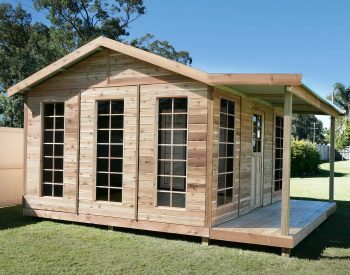 When used as an outdoor covered area, the greenhouse can be installed on a timber base as shown, or on pavers or a concrete slab. 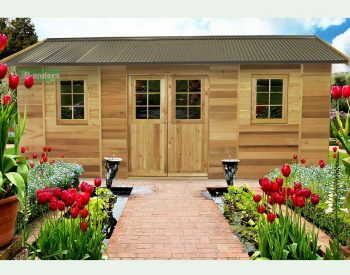 Of course, you always have the option of reverting to the primary greenhouse use for part of the unit; some people actually set their greenhouses up so that they can sit and enjoy their plants’ progress while they have a quiet cup of tea. 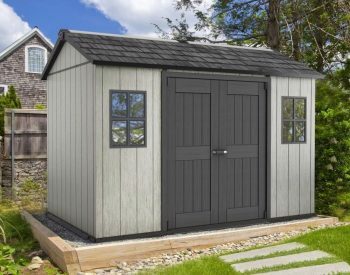 It’s really about how you would like to have it – with the space available in the AMERICANA the possibilities are almost endless!